Between my own children's activities and sports shooting, it was a very busy weekend! 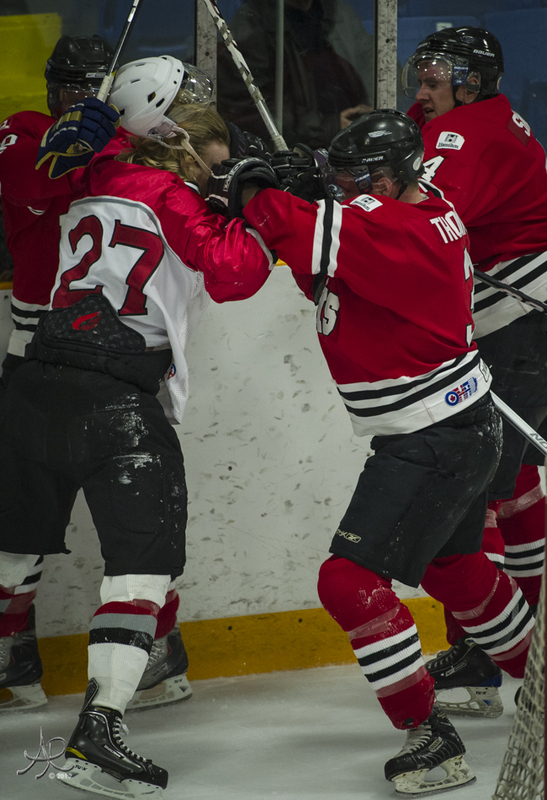 I was at the rink with my lil'guy Friday Night for some DMHA hockey and a little more with the Senior AAA Dundas Real McCoys who literally lay a beating on the Orillia team. Saturday was the Awesome HWMFA Ticats Football Camp. I will admit I am in withdrawal from shooting football, but it was really nice to watch the pros teach the kids fundamentals. 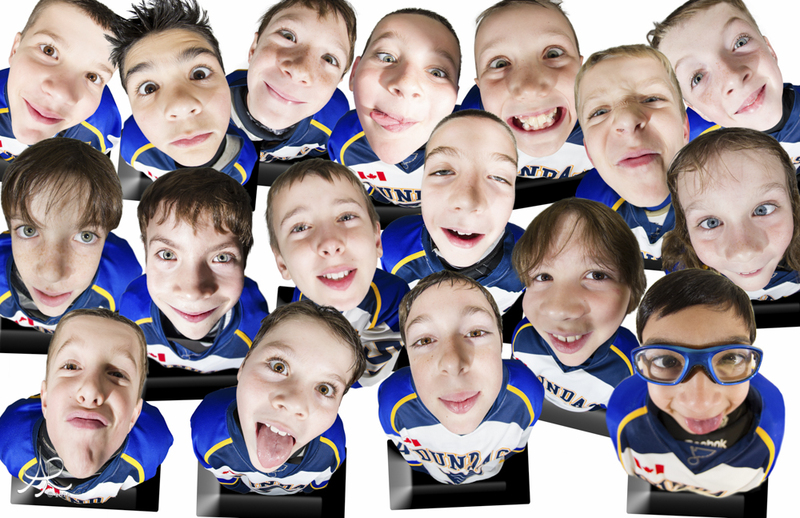 I picked up on a few tricks to understand and anticipate the game more....Not to mention the big smile on my lil'guys face-Fun-Fun-Fun! Soccer and Basketball for my other lil'gal! 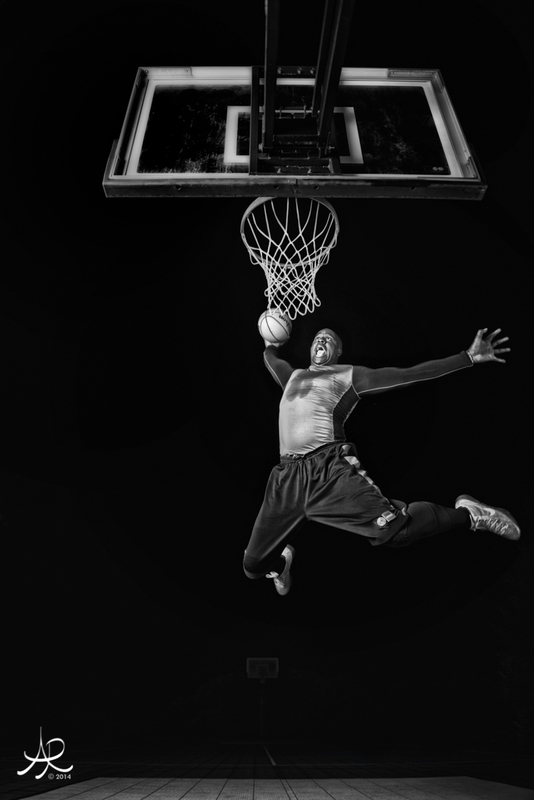 Off to shoot some Mac Sports. One of my beautiful girlfriends from Whistler passed away this December of Breast Cancer. 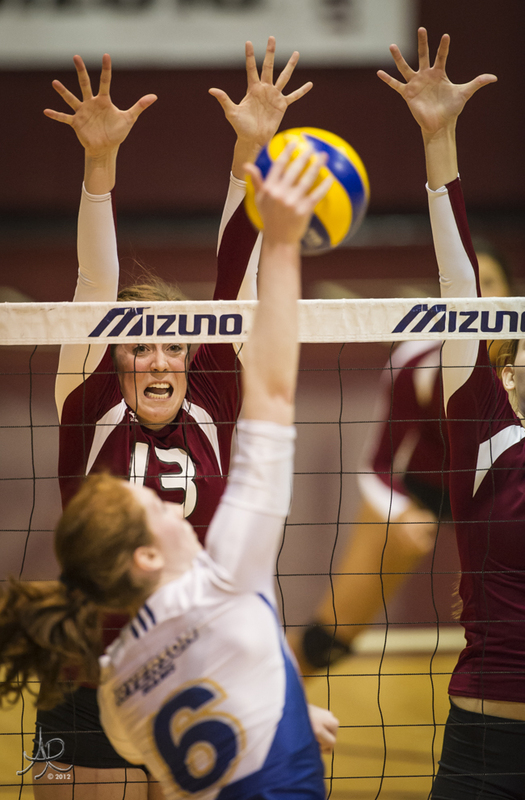 I dedicate Saturday night to Lalaine while I shot "Think Pink" Volleyball at McMaster University. 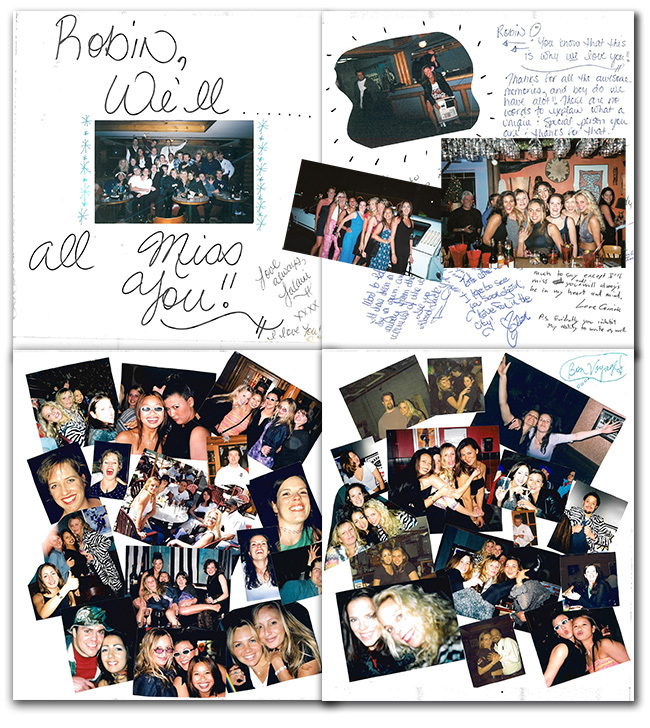 It made be want reminisce and remember a card she made for me before I came back to Ontario. As you can see she was beautiful on the inside and out....I miss her! 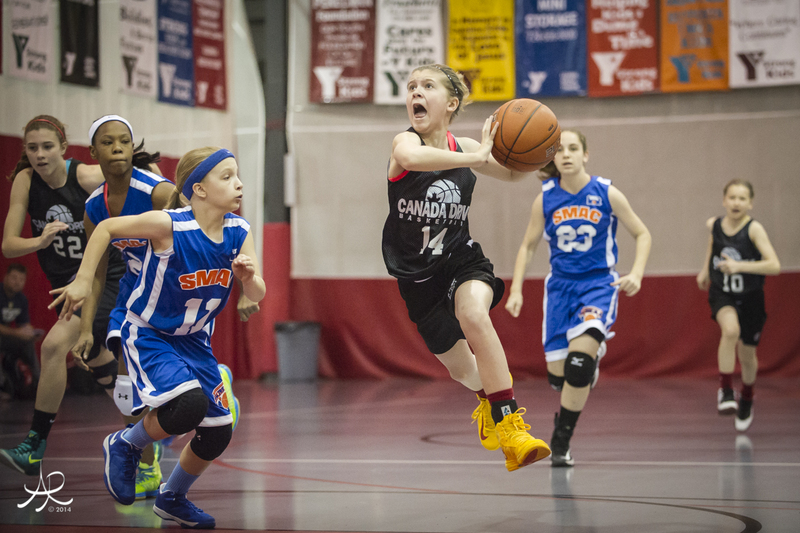 Sunday was a competitive day for my children as we revised a plan to get one to an OBA Provincial Basketball Tryout and the other to a Select hockey game in Brantford. Divide and conquer! 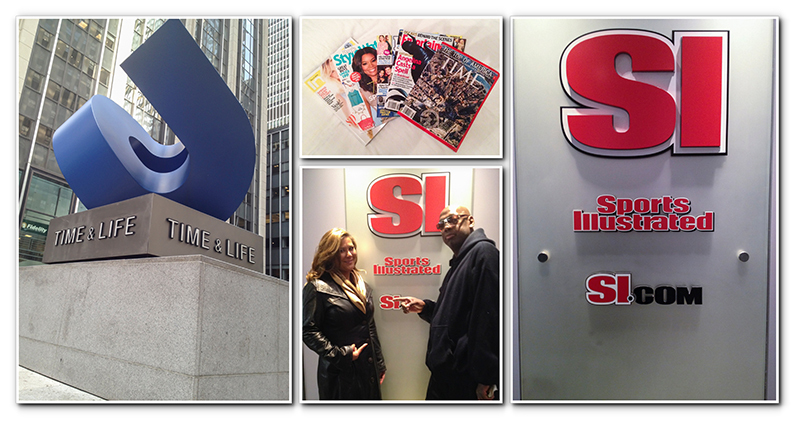 Full Sport Stories and Photos Coming Soon! No. 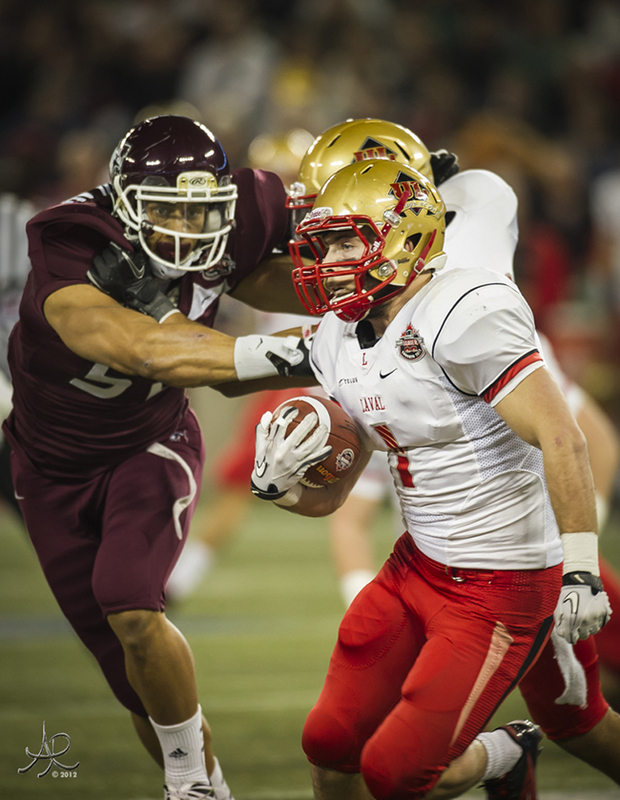 1 McMaster will defend its 2011 Vanier Cup title as they knocked off the No. 3 Calgary Dinos, 45-6, at Ron Joyce on Saturday night. 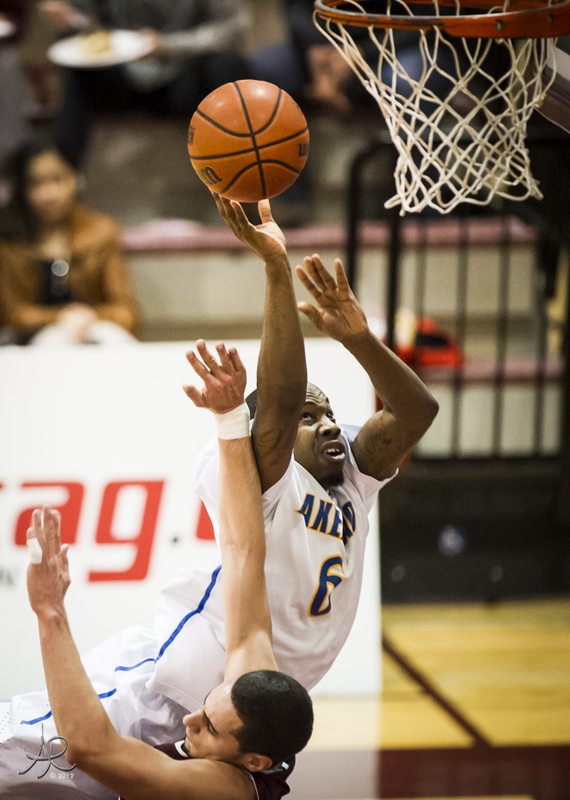 The Marauders make their second straight Vanier appearance to face the No. 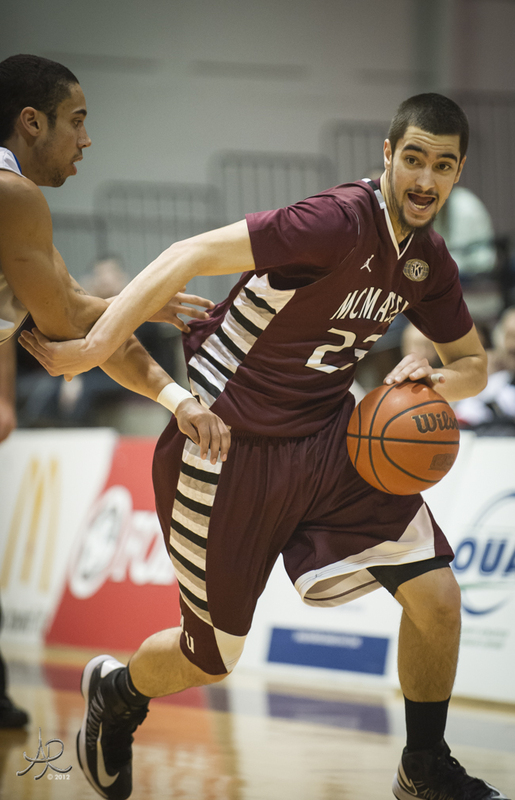 2 Laval Rouge et Or in a rematch of last year`s Canadian Interuniversity Sport national championship, won by McMaster in overtime, 41-38, in Vancouver. 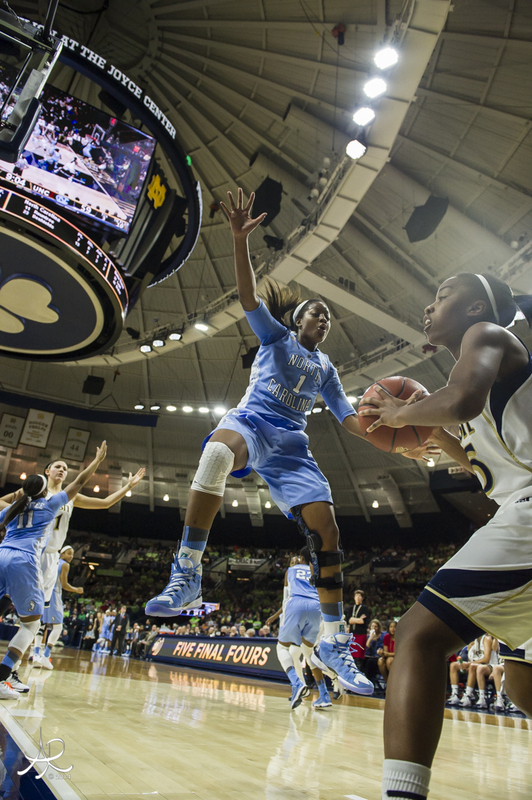 Earlier Saturday, Laval dumped No. 9 Acadia, 42-7, for its third consecutive trip to the final. 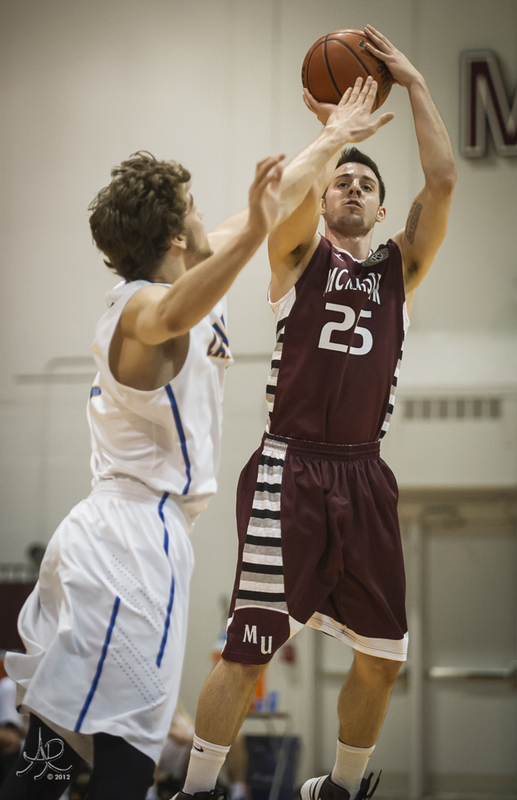 The win also extends McMaster`s CIS record consecutive win streak to 21 games before a crowd of 5,442. 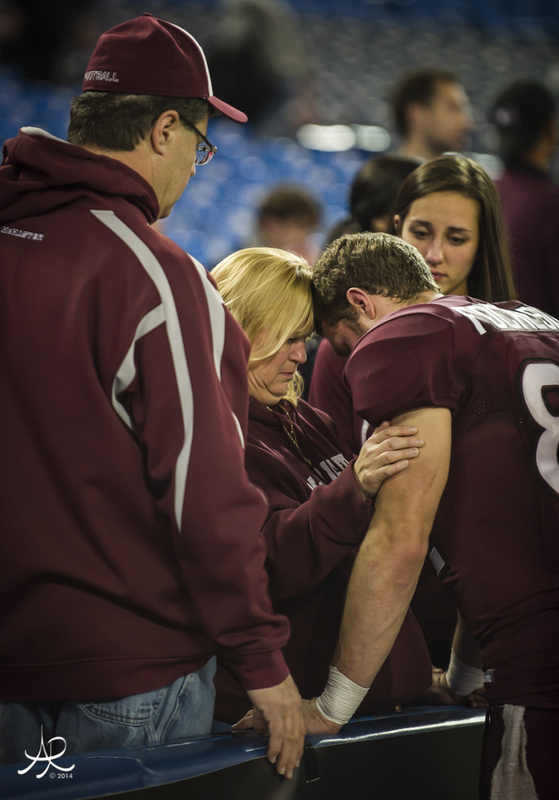 Kyle Quinlan (South Woodslee), who was named the game’s most valuable player, was involved in 36 of the Marauders 45 points tossing three touchdowns and rushing for another three on the ground. He finished with 412-yards passing on 25 of 35 attempts. The fifth-year senior also rushed for an additional 50 yards on 11 carries. 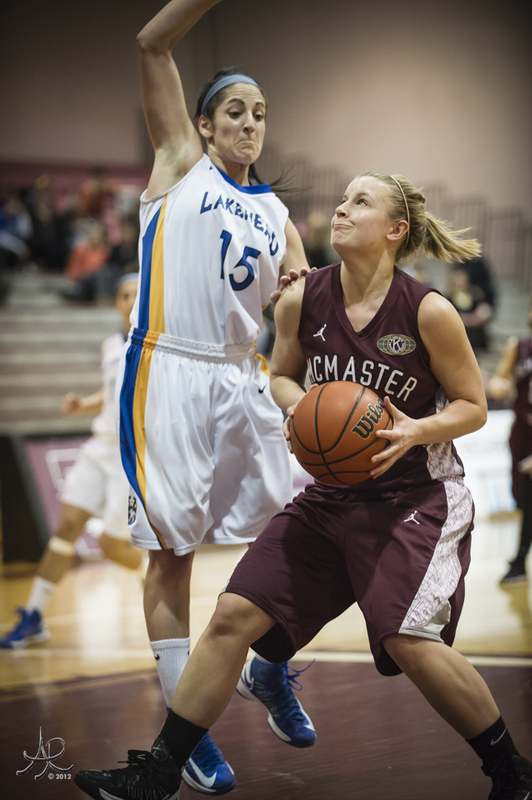 McMaster`s defence stymied Calgary`s offence, which was ranked No. 1 in almost every offensive category heading into the Churchill Cup game, posting just 200 total yards and only six points. Dinos running back Steve Lumbala of Calgary finished with just 39 yards on 14 carries while Canada West MVP Eric Dzwilewski of Boise, Idaho, threw for just 114 yards making 10 completions on 21 attempts. CIS regular season sack leader Ben D’Aguilar (Hamilton) racked up three of the five sacks surrendered by Calgary while Aram Eisho of Hamilton tallied a game high 10 solo tackles. Defensive back Steve Ventresca (Hamilton) also posted nine tackles and two pass breakups. Joey Cupido (Hamilton) was the lone Marauder to intercept Dzwilewski, returning it 49 yards late in the fourth quarter. 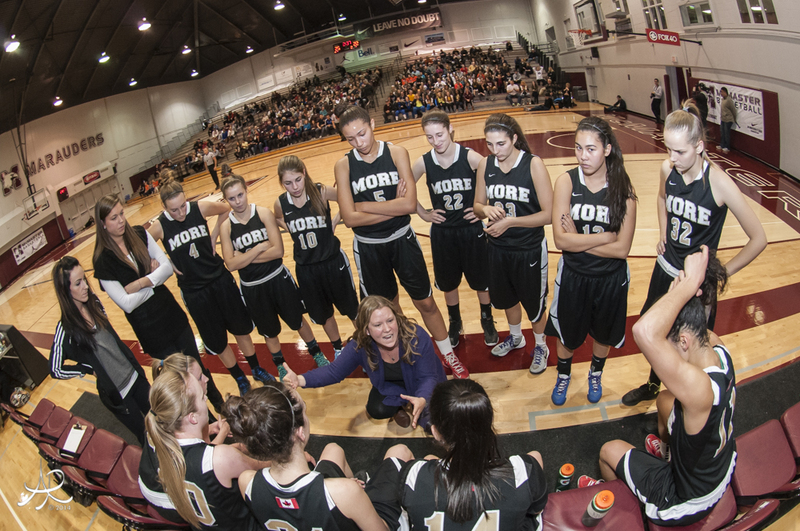 Quinlan was proud of what the Marauders could do on the defensive side of the ball. Rob Babic (Oakville) was the game’s top receiver and favorite Quinlan target making 10 receptions for 156 yard and converting one touchdown in the win for the Marauders. 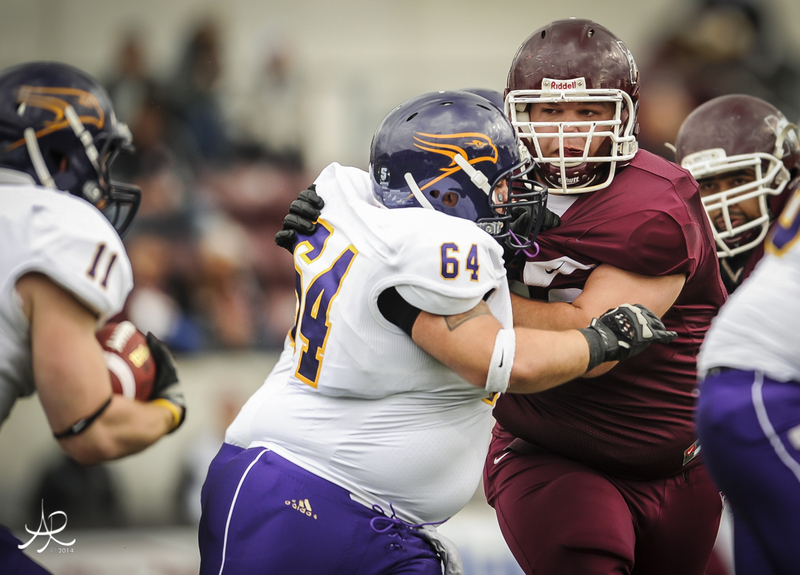 McMaster scored 37 unanswered points, starting midway through the second quarter, to push the Marauders into the Vanier Cup appearance. In the end, Calgary came undone in the second quarter committing eight penalties for a loss of 66 yards helping McMaster post 17 points in that quarter on route to the win. 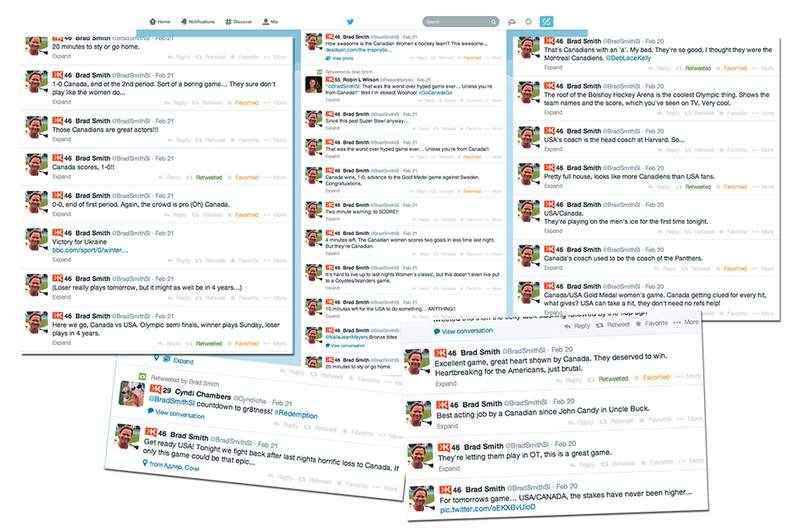 In total, the Dinos were called for 17 penalties which cost them 127 yards. Quinlan’s first rushing touchdown came after two crucial penalties by Calgary as time expired in the opening frame making the score 7-3 at the time. 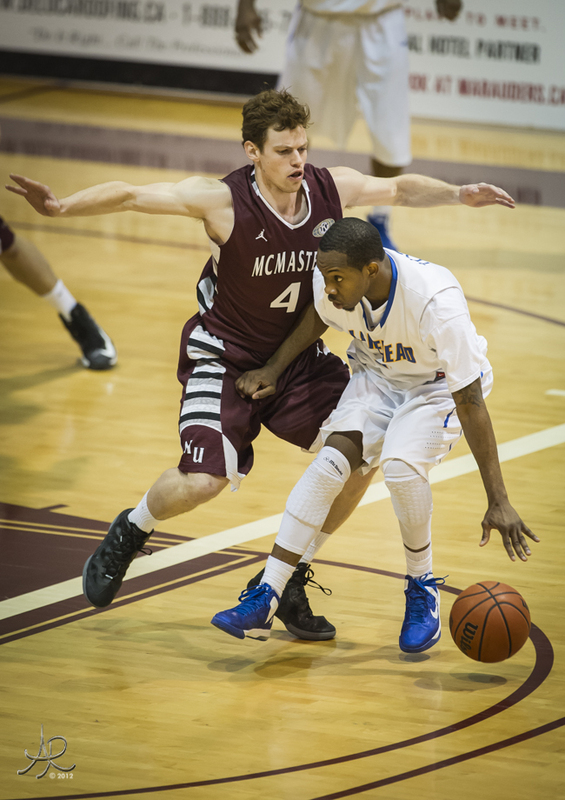 McMaster blew the game open late in the second quarter after scoring 14 points twice within 58 seconds. Quinlan punched in a one-yard run on the first score then found Brad Fochesato (Windsor) to make the score 24-4 heading into the half. The Marauders would go on to punch in 21 more points in the second half while Calgary would must just a safety with a 1:17 left to close the game’s scoring at 45-6. 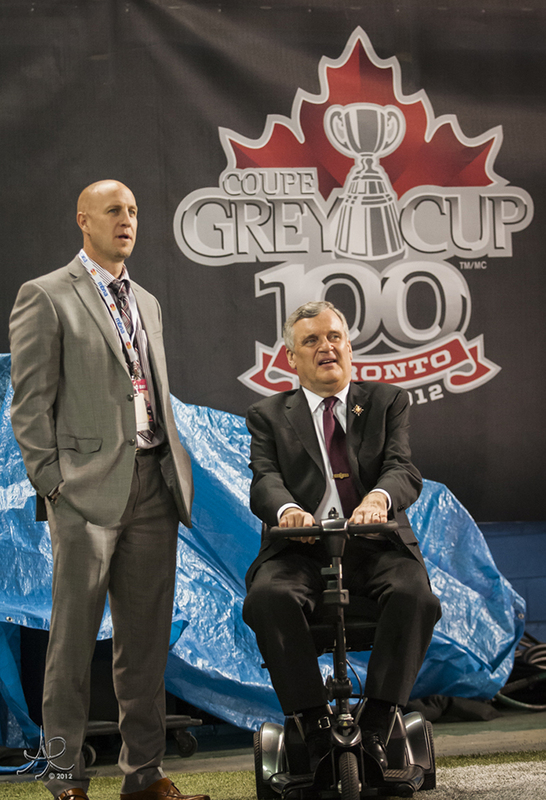 NOTES: McMaster Athletics and Recreation has secured a special Vanier Cup ticket price for McMaster supporters only. The special price for Vanier Cup tickets is $40.00 at the McMaster business office in the David Braley Athletic Centre beginning on Sunday. The office opens at noon. This special is available only in person, no phone nor internet sales. 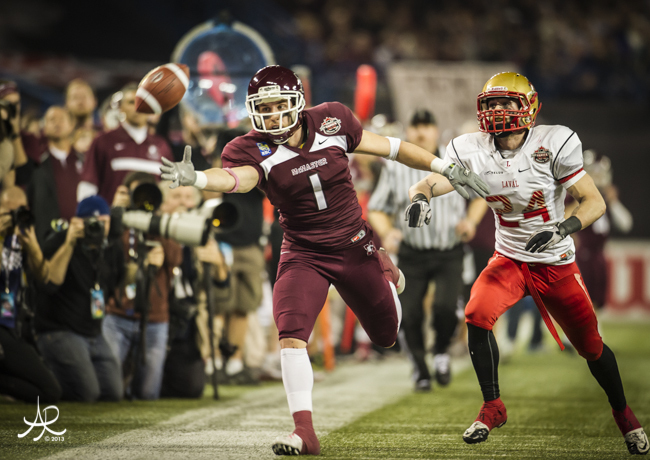 McMaster Defends Yates Cup Champion Title! The No. 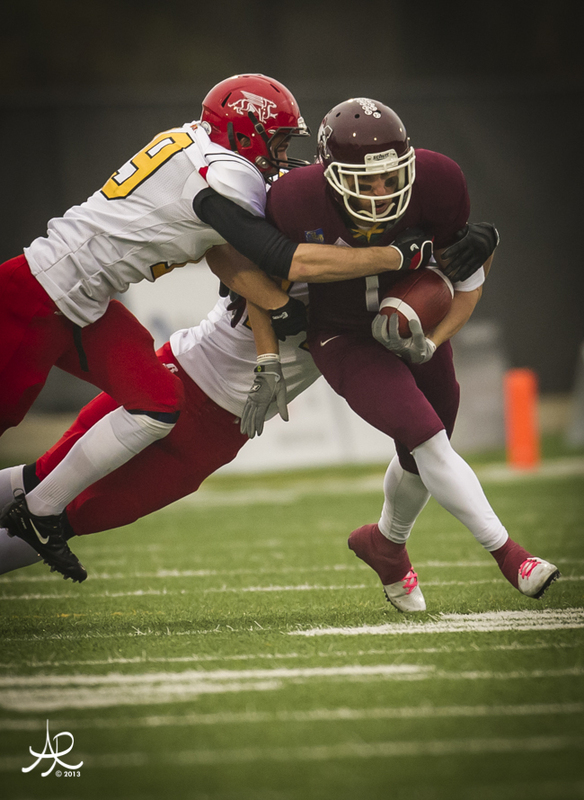 1 nationally ranked Marauders captured their second consecutive Yates Cup title with a 30-13 victory over the Guelph Gryphons Saturday before an overflow crowd of 5,427 at McMaster’s Ron Joyce Stadium. 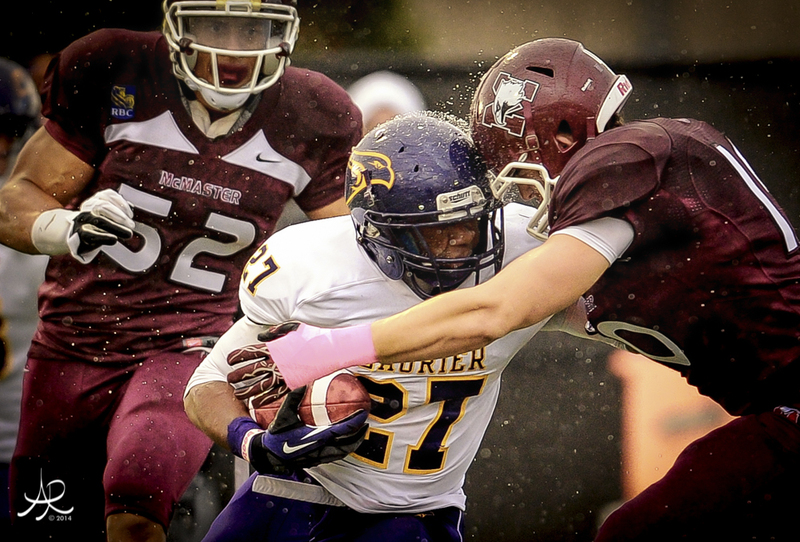 The win extends the reigning Vanier Cup champions’ winning streak to a Canadian Interuniversity Sport record of 20 consecutive conference and playoff contests, breaking the previous mark of 19 set by the Laval Rouge et Or in the 2004 and 2005 campaigns. McMaster linebacker Shane Beaton (Brampton) took the Dalt White Trophy as most valuable player of the Yates Cup game, delivering 10 solo tackles, including three tackles for a loss, and one pass breakup. He was also named Port Airlines player of the game. 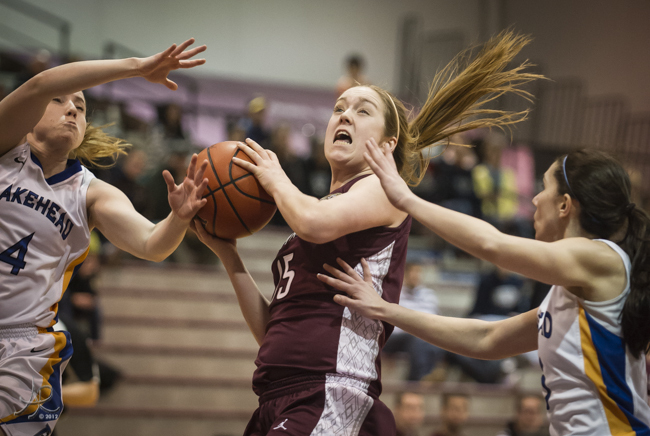 McMaster scored 21 unanswered points over the course of 10 minutes in the first and second quarters, capitalizing on a pair of Guelph miscues to score 10 of those points off turnovers. The Marauder defence repeatedly succeeded in pinning the Gryphons, rated No. 5 in the country going into the Ontario University Athletics showdown, deep in their end in the first half, forcing the Gryphons to concede three safety touches rather than punt from the shadow of their own goalposts. 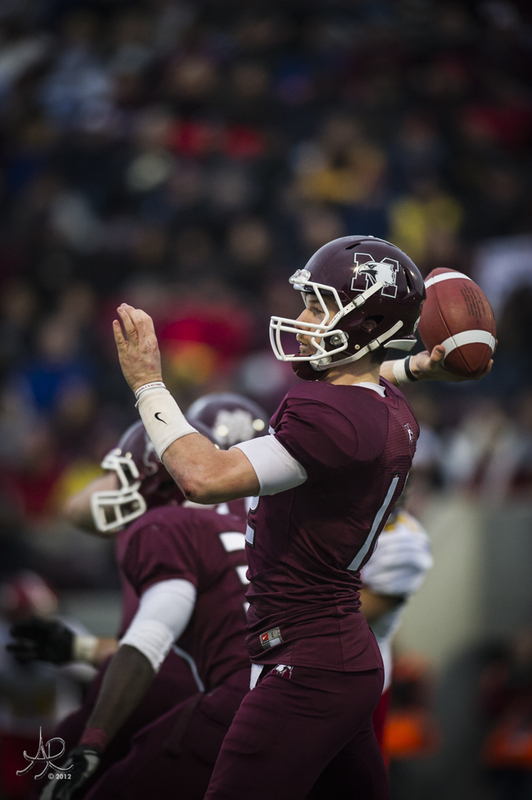 This season’s league MVP and McMaster quarterback Kyle Quinlan (South Woodslee) posted a stunning 80% completion percentage, connecting on 16 of 20 passes, while amassing 265 yards and two touchdowns. Quinlan added 70 yards on 11 rushes. His favourite target, Mike DiCroce (Hamilton), accounted for 144 yards on seven receptions. For the Gryphons, quarterback Jazz Lindsey (Markham) threw for 319 yards, completing 29 of 47 attempts and throwing three interceptions. 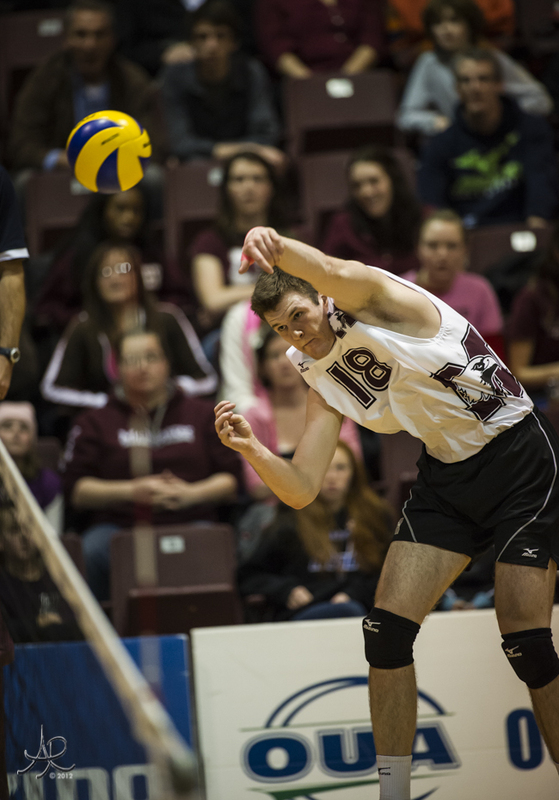 In their only previous meeting this year, McMaster downed Guelph 50-9 in the first week of the regular season, accounting for Guelph’s only other defeat of the 2012 campaign. 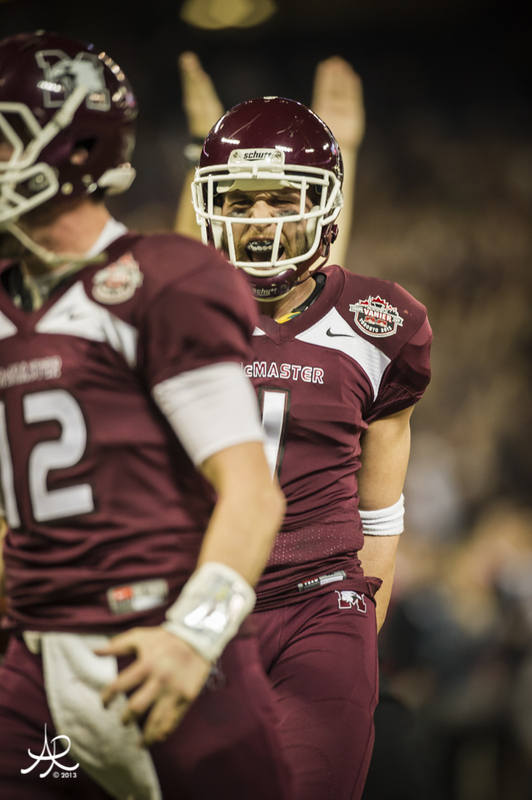 The win gives McMaster its sixth Yates Cup title in club history, all from 2000 to date. The Gryphons opened the scoring at the 4:38 mark of the first quarter, capping their first possession of the game with a 12-yard field goal from Julian Tropea (Niagara Falls). Guelph spotted McMaster its first two points on its next possession, Tropea conceding his first of three safety touches. McMaster’s offence found the end zone on the ensuing possession with a Quinlan-to-Robert Babic (Oakville) play for a two-yard passing major. Two plays later, Lindsey threw an interception into the waiting arms of Marauder defensive back Scott Martin (London), which McMaster soon converted into three points via a 20-yard Tyler Crapigna (Nepean) field goal. A Guelph fumble on the next play from scrimmage promptly gave McMaster the ball on the Guelph 39 yard-line and Quinlan wasted little time in connecting with Tyler Loveday (Kitchener) on a 21-yard pass-and-run touchdown to give McMaster a 19-3 lead in the opening minute of the second quarter. Guelph struggled on its ensuing possessions, in turn conceding a second safety touch and throwing an interception. The Gryphons offence finally gelled on a 13-play, 71-yard drive culminating in a one-yard rushing major by Lindsey. One further safety touch conceded by Guelph sent the teams to the intermission with a 23-10 McMaster lead. McMaster added to its lead margin in the third quarter, off a two-yard rushing major by Kasean Davis-Reynolds (Mississauga). Guelph responded on the ensuing possession with a 16-yard field goal by Tropea. A scoreless fourth quarter was highlighted by a McMaster pass rush tallying three sacks in the final five minutes of play, stifling Guelph’s sputtering offence. 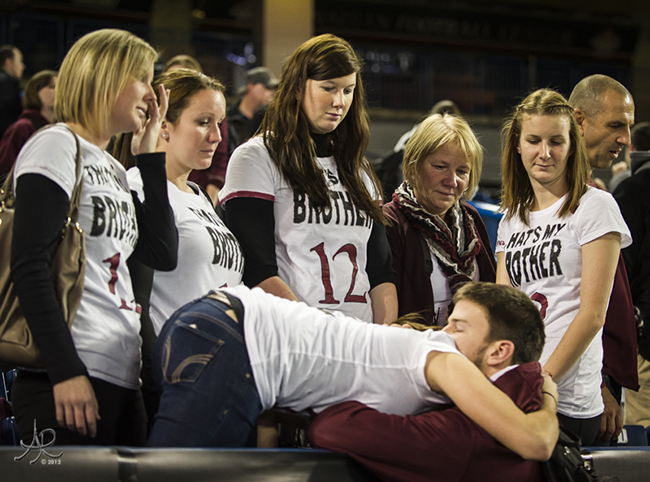 McMaster will host the CIS semi-final Mitchell Bowl on Saturday (Nov. 17) against the Hardy Cup champions, the Calgary Dinos, who defeated the Regina Rams. 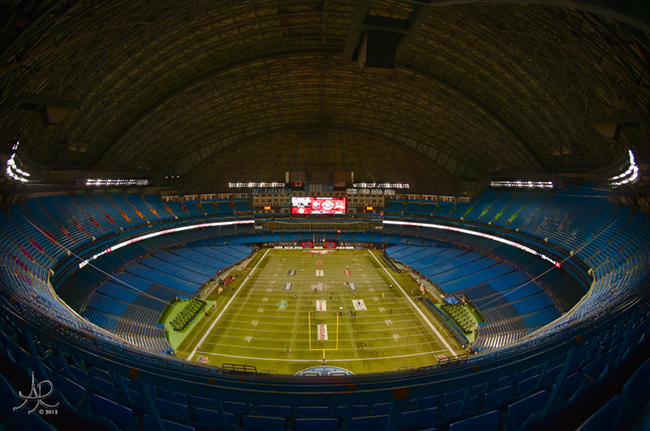 Kickoff is at 4 p.m. and the game will be televised on TSN.